The Forestone material is a mixture of polypropylene resin and cellulose wood fibre. More than 50 percent of the wood fiber used is bamboo. The material is brownish in colour, tasteless, odourless and non-toxic. The exceptional sound, resilience and flexibility of Forestone reeds is due mainly to this special material. Forestone reeds are perfectly balanced side to side and front to back. The more or less standard profile tapers down to 0.1 mm thickness across the tip. Held up to the light, the reeds display the classic upside-down "U-shape" associated with cane reeds. Forestone reeds tend to maintain their strength / resistance over time. They vibrate well and hold the centre of the sound in a manner similar to that of a good quality cane reed. The basic timbre is robust, clear and strong, with just enough "buzz" to ensure projection and carrying power. Intonation is stable and the reeds articulate well throughout the range of the clarinet and saxophone. 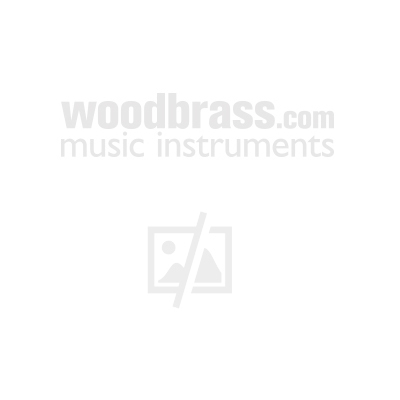 The useful life of a Forestone reed will vary from player to player given that everyone's way of playing - his or her embouchure address - stresses the reed differently. Forestone reeds will far outlast good quality cane as the proprietary composite material is impervious to water-logging and breakdown by saliva, and will not warp due to changes in humidity or altitude. After a certain number of hours, however, the reeds will begin to feel less lively and responsive. The loss in vitality, be it subtle or more pronounced, would signal the time has come to retire the reed in favor of a newer one.